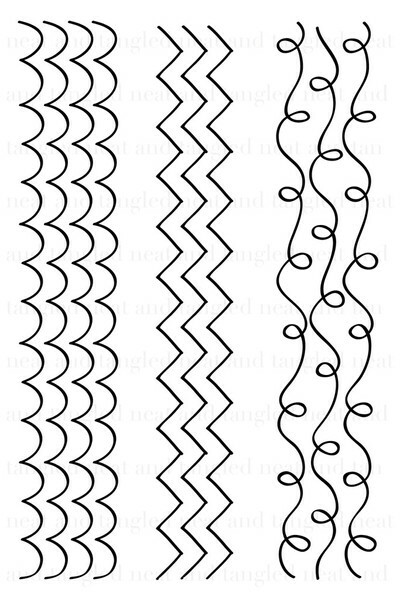 It's time for another awesome Little Tangles challenge, it's a colour combo challenge this time! Don't you just LOVE these colours together, I decided to take a break from holiday cards and made a thank you card as such. 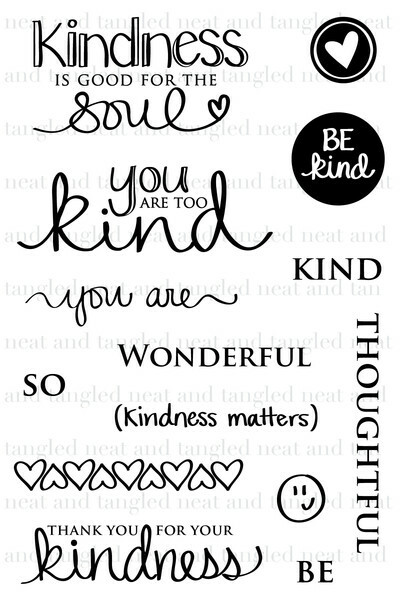 I used the fab sets, Kindness Matters and Little Tangles from Neat & Tangled Stamps. 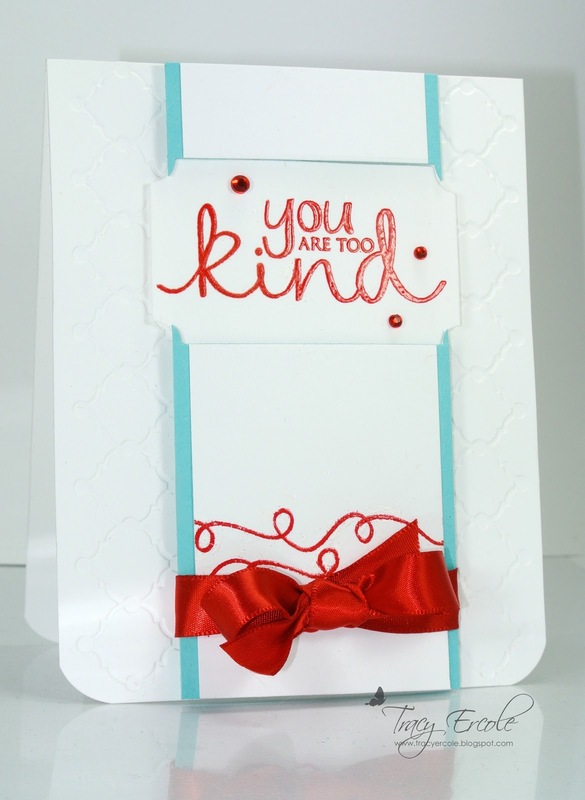 I heat embossed the pattern and sentiment with WOW embossing powder in Cable Car red, I cut the sentiment die cut shape out of my panel and the placed some foam squares on the panel negatives leftover to set them higher than the sentiment shape, if that makes sense! You can't really tell in the picture but it looks quite effective in real life. I finished it off with some PTI ribbon and some gems and placed it on a card I had embossed with Whimsy embossing folder from Lifestyle Crafts. 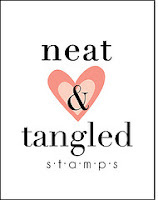 By playing along you have the chance to win one stamp set of your choice from Neat & Tangled stamps so make sure you link up your creation over on the Challenge Blog, you have until Sunday, December 30 at 11:59 EST. Such a fun card Tracy and I love the pop from your shiny red bow!! Such a sweet CAS card Tracy! Beautiful bow.